49 Palms Oasis is a nice moderate short hike to a secluded palm oasis (you guessed it). The palm trees are clustered near an out of place spring of water in the middle of the arid desert. The trees look really out of place here among the cacti. They were originally planted there by miners to mark the spring. This trail is well marked, but has less traffic. It’s located in the park, but has no ranger station. For this reason you don’t need a park pass to park and hike, a huge plus for hikers without a yearly National Parks pass, or if you’re just passing through. 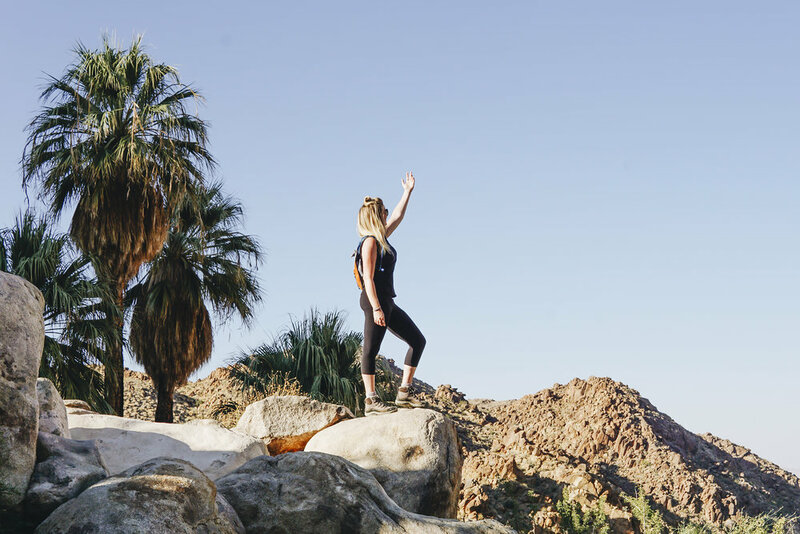 Although this hike is technically within the National Park boundaries, you won’t see Joshua Trees along the path. As you start the trail, you’ll notice it features a lot of cool looking red barrel cacti. 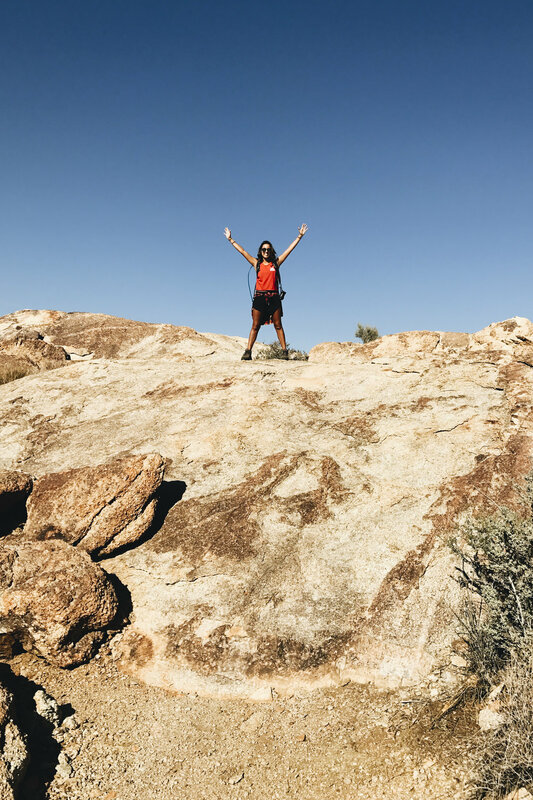 As you climb higher, you’ll get all panoramic views of Forty-nine Palms Canyon. As you descend back down you can start to see the palms coming up from the spring, a cluster of greenery rising up from large boulders. The palms offer great shade at the end of a hike. It’s a good place to bring a picnic to relax. Enjoy the hike! 49 Palms Oasis is a nice moderate short hike to a secluded palm oasis (you guessed it). The palm trees are clustered near an out of place spring of water in the middle of the arid desert.